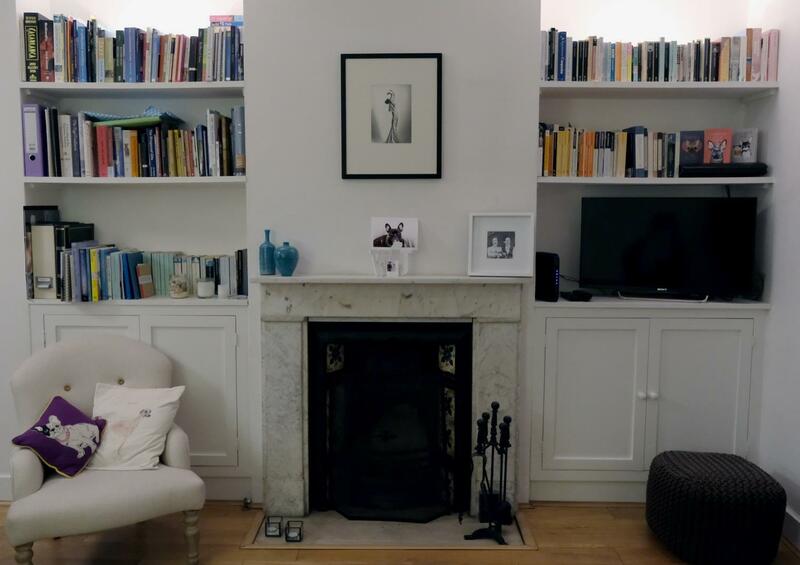 If you read my first blog post you will have seen that as well as recently launching this website, I also got my very first interior design commission. All in the same week! (As well as still doing some website and digital marketing consultancy... It's good I like to be busy!). When I did the diploma in Professional Interior Design at the NDA a couple of years ago I had several pretend clients that I created design concepts, final design schemes, floor plans and product lists for. So the whole process of interior design for a client isn't new to me. However doing it for real people, who are actually going to have to live with any designs they choose to go with is a whole new ball game! Luckily my first clients are the nicest couple, who happen to already know and like my style. 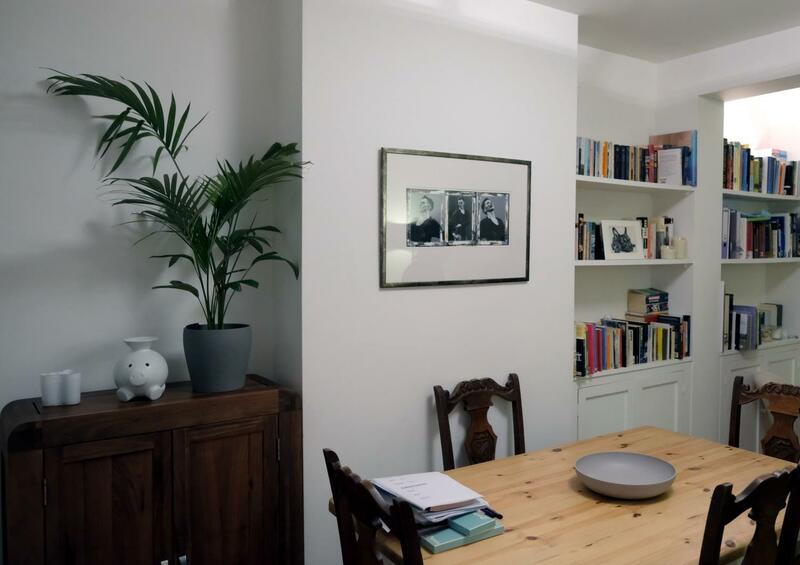 They contacted me after seeing my London home when we took part in a local Art Trail recently, and wanted something similar with their open plan living dining room. Which to be honest, is already half way there. 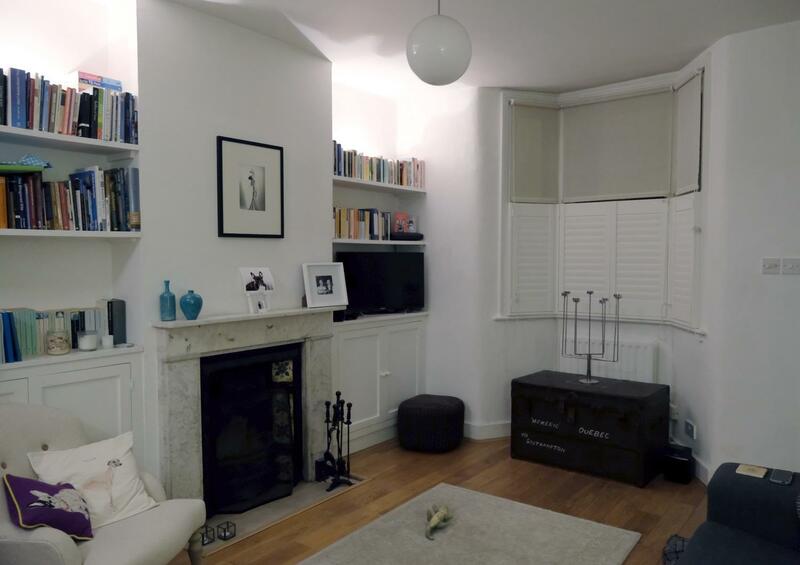 It's a beautiful Victorian terrace, with that old saying, 'good bones'. 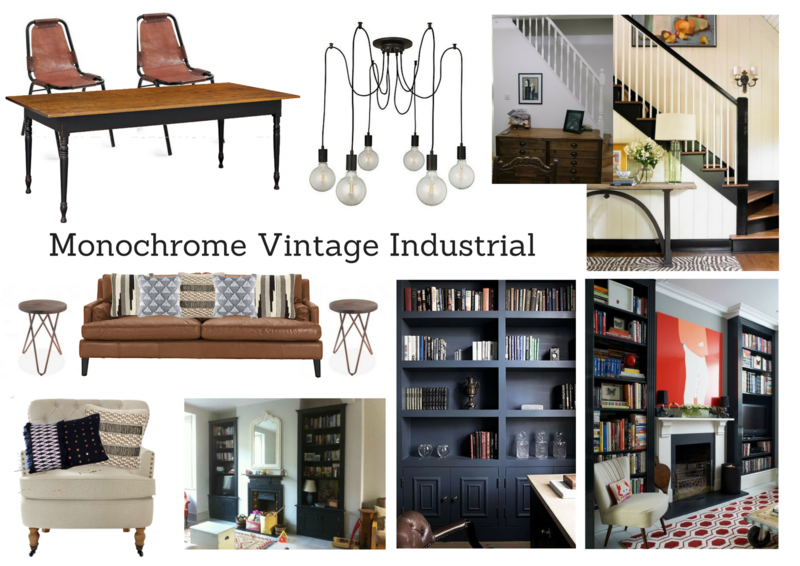 They have a few great pieces of furniture they want to keep, including a really great vintage chest and would like to incorporate more of an industrial vibe. Before you start thinking I've got it too easy, there are a couple of complications, the major one being that the couple have slightly different views on what they want. One half likes a very minimal, very white scheme. The other likes a bit more colour and interest. So the trick here is to get a balance between the two. The other is the budget. It's small. I've created two design concepts for them, based on what we discussed when we met two weeks ago. 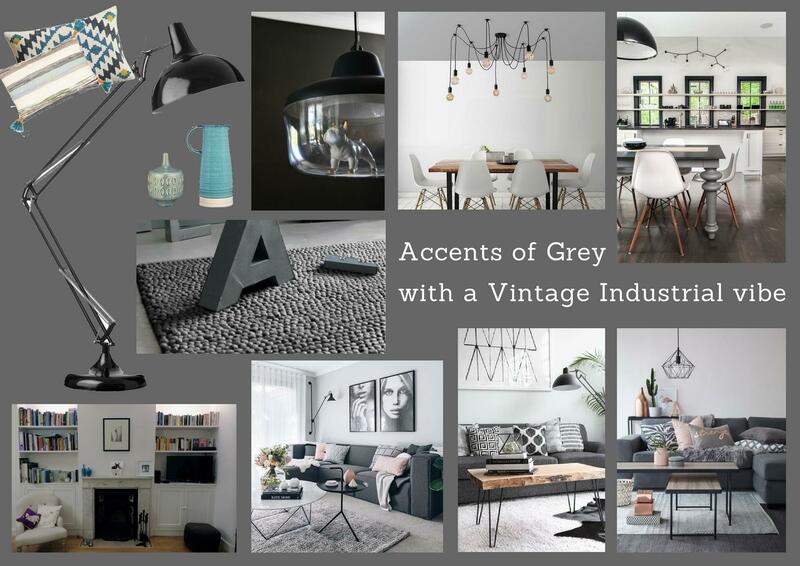 Both will keep the walls white and bring in more of an industrial look which they both like, however one will bring in accents of warm greys and pale blues, while the other takes the industrial look a bit further, with a strictly monochrome scheme. I wonder which they will go for!